Natural Cockroach Killers: Are They Dangerous? Roaches inside your home should be dealt with swiftly. There are many ways to get rid of these pests, but what if you’re looking for a natural cockroach killer? You have good reasons to search for more natural and less harmful solutions. BUT are they really less harmful? Are there any dangers they might possess that you should be aware of? If you have kids, or pet friends then their well-being is always a concern. What about yourself? Got to love yourself, so your own well-being is important. What about the environment? It’s nice to know you’re not making it worst by being more conscious of what you use. Whatever your reasons are, they’re important. Diatomaceous earth (also known as D.E.) is as natural as it gets. What exactly is this stuff and what’s in it? It’s basically a soft rock that it is naturally occurring. It can easily be crushed into a fine white powder. This stuff is mostly made up of tiny fossils, so there are no harmful chemicals or anything like that in it. Although you may want to be careful about inhaling this fine powder. It may irritate your lungs and any of your loved ones that inhales it. How is this any useful for killing cockroaches? Diatomaceous earth is both mildly abrasive and absorbent. In fact, it’s commonly used in clumping litter for cat litter. It’s able to cut’s into the protective exoskeleton of roaches and dry them out–killing them through dehydration. Using diatomaceous earth to kill roaches is simple. Just dust the appropriate areas with it. This means finding out potential hiding spots that roaches are hiding in and dusting them. You also need to dust areas where cockroaches frequently move through. Make sure you get food grade DE, which is a much finer powder to make it easier for dusting. Because of the risks of inhaling the powder, you may want to avoid applying DE in open areas or areas where it can easily be disturbed. Take a look at my other article about finding out high traffic spots using homemade traps. I highly recommend reading up on it to make this step easier. I’ve covered using D.E. in more details in my other post, so check it out for more information. Sodium bicarbonate, also known by many as baking soda, is probably the safest natural cockroach killer you can use. Well safe for you and kids if a little common sense is used. Of course, just because it’s safe to use doesn’t mean you should leave it within reach of young children (or even pets). Always keep them out of reach. Because it is a fine powder, it carries the same risks as diatomaceous earth. Use the same precautions and you’ll be able to avoid a lot of it’s risks. Humans have been using sodium bicarbonate for various purposes since ancient times. 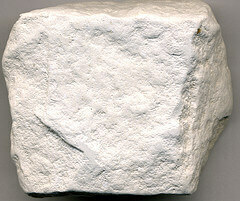 The Egyptians used natron, a natural deposit that contained sodium bicarbonate, as a kind of “soap” to clean things. Presently, it is used for all sorts of things including cooking, cleaning, medical, and even fire extinguishing. How does baking soda kill roaches? There’s no concrete scientific evidence concluding how. It’s just one of those things that just work. However there are a few guesses floating around out there. One such guess goes something like this; sodium bicarbonate rapidly releases carbon dioxide when mixed with acids, so upon ingestion it mixes with the acids inside and a violent reaction occurs. The gas rapidly expands from the inside and causes enough damage to kill the roach. Whatever the real explanation is, it doesn’t really matter. What matter is it works and it has worked for many others looking to kill roaches with something natural. To use it, follow the same advice mentioned above for diatomaceous earth. What if you’ve already tried these with little success? Is there anything else you can use? Do you have to resort to man-made pesticides that can be a lot more harmful? Not quite. You’re not out of options just yet. The good and bad news is, roaches have been pestering people for who knows exactly how long. We’ve since then learned a few tricks of our own to deal with them. I won’t cover them in detail here because they’ve already been covered in-depth on the site. For alternatives that are a little safer to use, I’d recommend checking out this list of some effective solutions for killing roaches. If you just want to jump straight to what I think works really well, then I’d checkout out this page about Advion’s roach bait. Both diatomaceous earth and baking soda are effective natural cockroach killers. They work in their own ways, but at the end of the day they both achieve the same results, dead roaches. Besides, who says you can’t use both at the same time? Also if your budget allows for something a little more potent, check out the other ways to get rid of cockroaches for more options.